The idea of a Dexter spinoff has been around since before the series spiraled off into its final tailspin, with Showtime’s David Nevins—who once insisted Dexter was his network’s Batman—envisioning an equally lengthy future for the franchise. Many wasted hours of their lives imagining various possible spinoffs centered on Yvonne Strahovski’s Hannah, as she carries on Dexter’s tradition of neglecting Harrison; on C.S. Lee’s Masuka, as he carries on Dexter’s tradition of not knowing what to do with Masuka; or Batista Nights, as Batista presides over a cast of wacky regulars at his Mexican restaurant, then retires every night to slowly go insane from losing almost everyone he cares about with no explanation. But Nevins envisions a more traditional way of wasting those hours: watching Dexter. 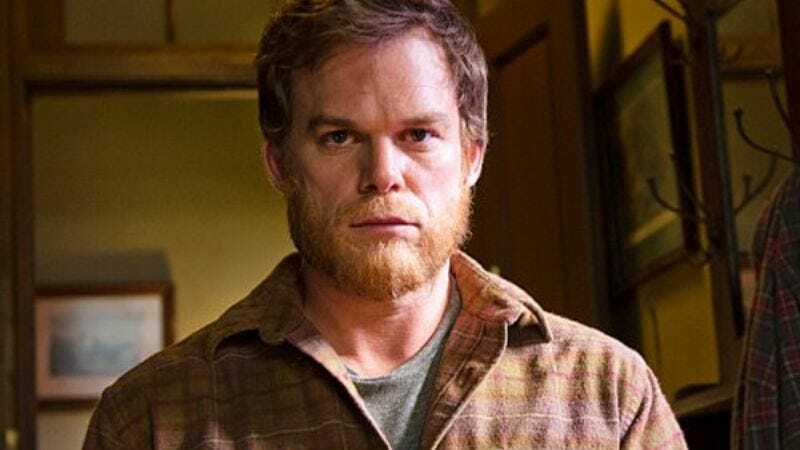 “It would have to involve Michael [C. Hall],” Nevins said at the TCAs, clarifying-but-not-exactly that any “spinoff” of Dexter would naturally have to be about Dexter. “I think if we were to do it, I would only do it if it with Michael.” Nevins added that the idea of a Dexter spinoff, which would finally give producers a chance to flesh out the show’s underserved character Dexter, is one they “continue to talk about” at the network. Although, he admits, “If we were to do it, we would have to have a very good reason to do it.” For example, a butterfly flapping its wings in Central America. Or a particularly compelling Facebook comment. Or that they’ve still got all these Dexter mugs. Still, this Dexter spinoff about Dexter would definitely not just be more Dexter. “It would have to feel like it’s a new show. I’m not interested in doing it if it’s just a continuation,” Nevins said of this Dexter show that would continue the story of Dexter, starring the guy who played Dexter. Instead, Nevins said it would have to be “a new concept and configuration,” albeit one that’s still about the same character “in a completely new setting with a new supporting cast.” Much like how Archie Bunker opened up Archie Bunker’s Place, after killing his friends and family and dumping their bodies at sea. Of course, given the way things ended up, it’s possible the Dexter spinoff could be about Dexter’s new life as a lumberjack in Alaska—his nights spent stealthily murdering the trees that deserve it, placing shavings of their bark into his special box, and his fellow lumberjacks never suspecting that this morose, bearded sociopath who never says anything might be deeply troubled. And the spinoff would never give any thought to Dexter’s old supporting characters, just like the original Dexter. But in no way would this just be another season of Dexter. Offering a glimpse into the sort of thinking that’s led us to this, Nevins also confirmed that, during planning for the series finale, killing off Dexter was never even considered as an option. “Honestly, it was never even discussed, the idea of killing him,” Nevins said. “No one even brought up the idea.” It’s hardly surprising; obviously, no one at Showtime can imagine just being done with Dexter.